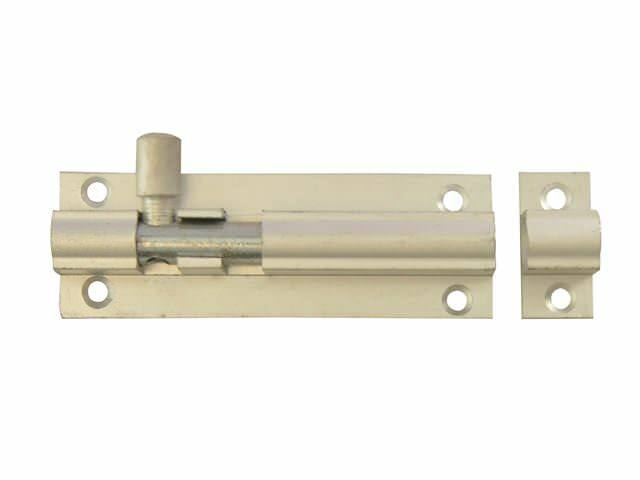 SKU: FGEDBLTAL3/4 Category: Door Chains, Bolts & Viewers Brands: Forge. This Forge internal Door Bolt is used for securing doors or cupboards. Made from aluminium and supplied with fitting instructions and all fixings. Size: 75mm (3 inch) or 100mm (4 inch).